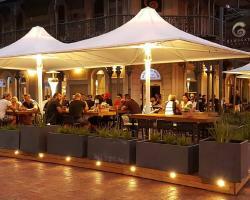 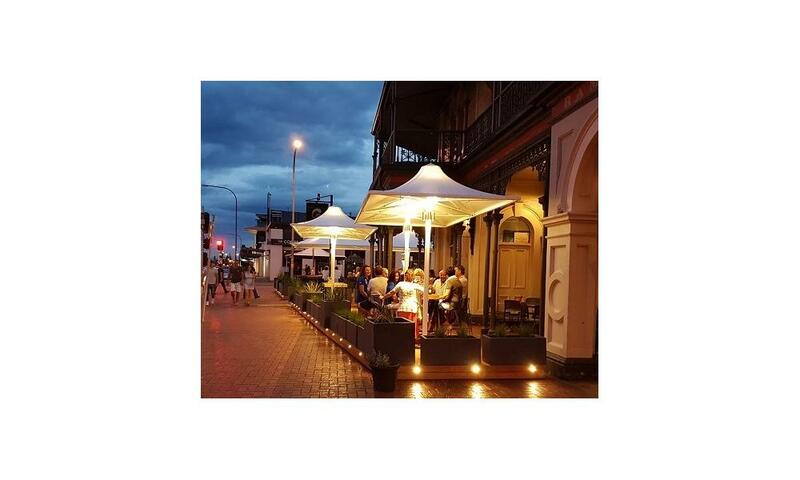 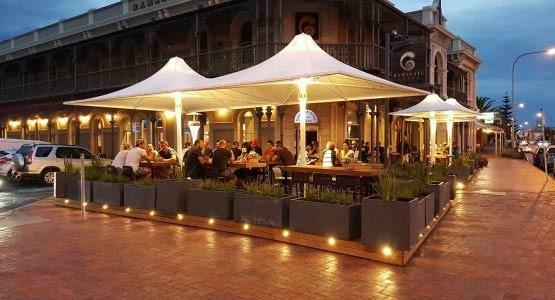 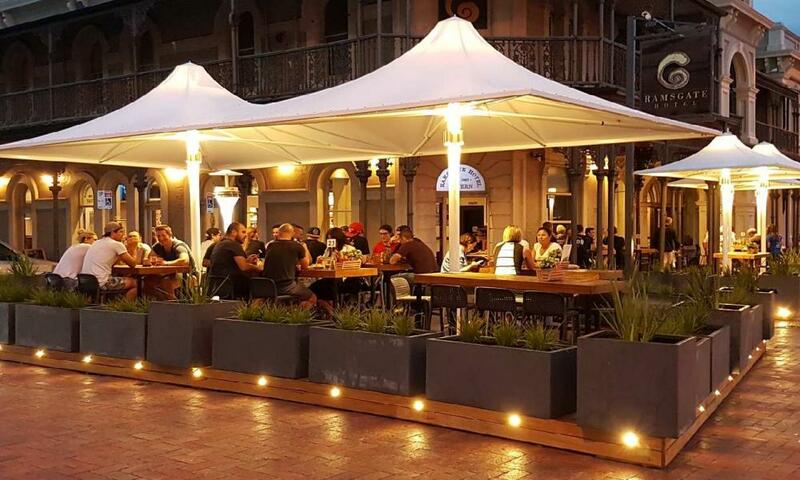 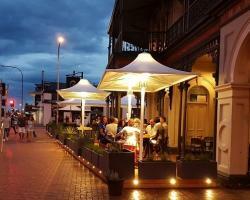 Alfresco dining is a fantastic draw-card for attracting customers to pubs, cafes, and social establishments. 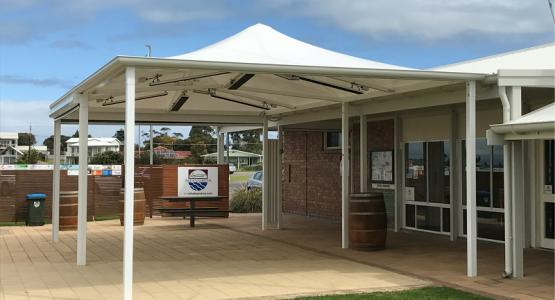 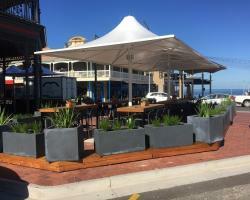 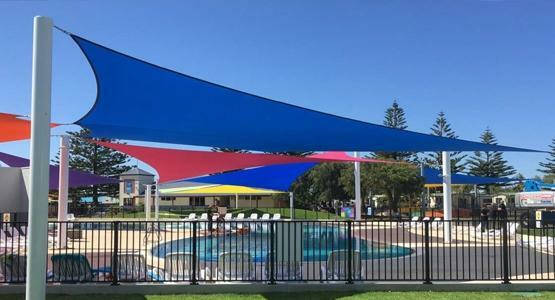 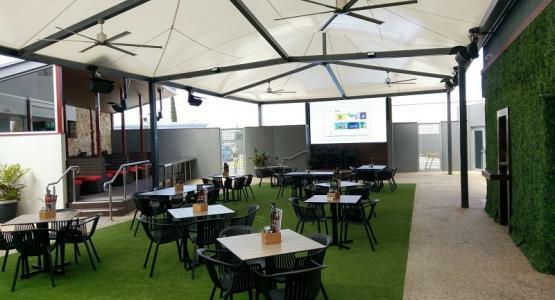 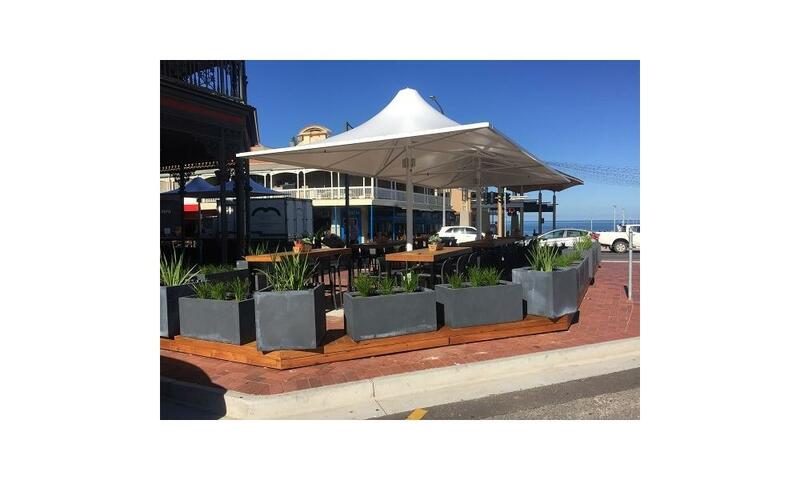 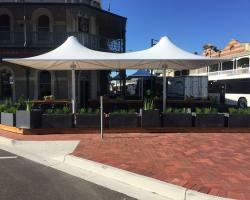 In keeping with Henley Square’s contemporary upgrade, the Ramsgate Hotel has added three Waterproof Umbrellas to their seaside area. 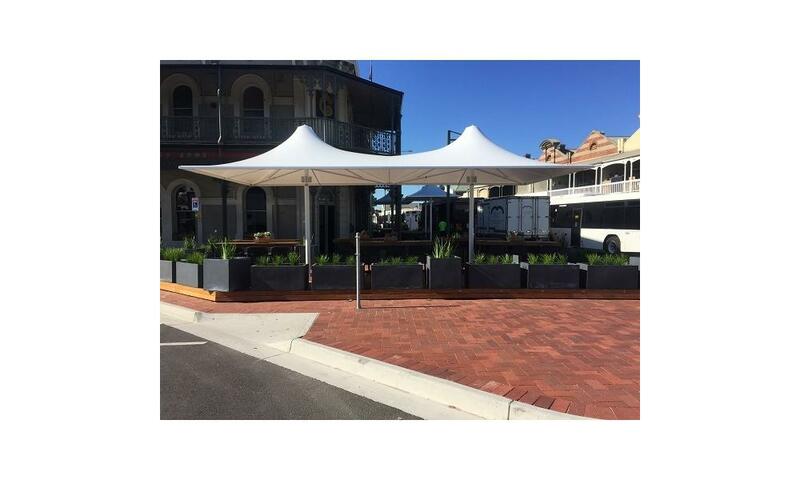 A stylish and effective form of weather protection, these products are a great way to boost customer numbers, improve satisfaction, and create striking features for passersby. 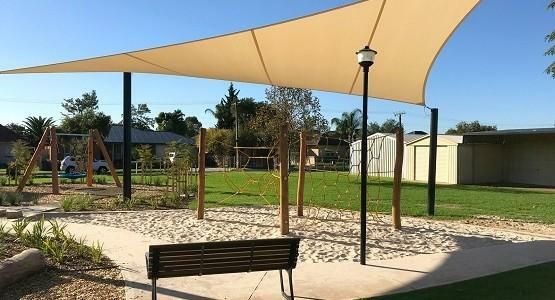 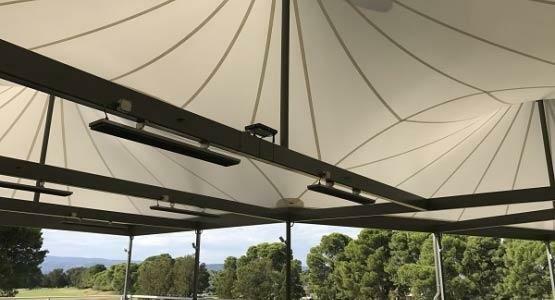 Flexshade® Permanent Umbrellas are the perfect set and forget solution, providing great all-weather protection from the sun, wind, & rain. 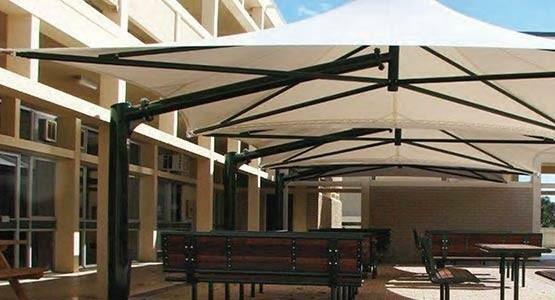 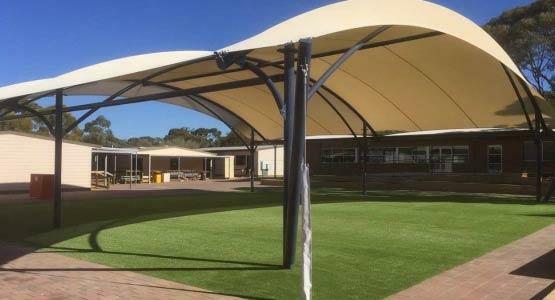 Flexible PVC fabric forms the taught translucent canopy, which is 100% UV resistant and completely waterproof. 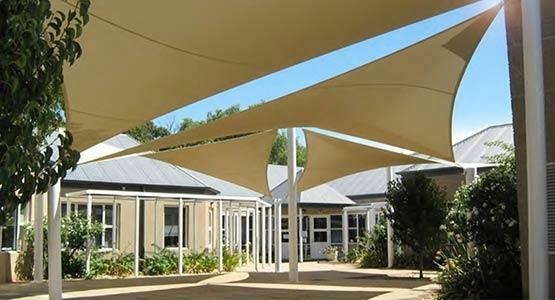 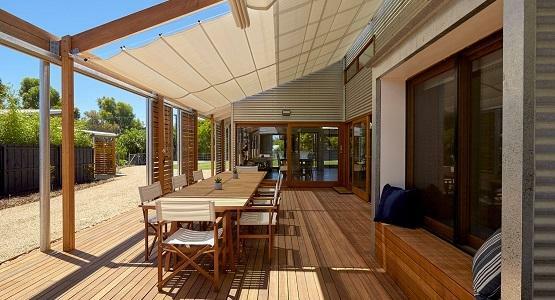 The Beam Edge design creates greater coverage than conventional Hollow Edged umbrellas and allows the provision of Drop Down Blinds.